LA VILLA — The board of aldermen here last month decided the interim police chief should stay permanently. The board, during a regularly scheduled meeting May 9, selected Adolfo Flores, 34, to be the city’s next police chief. 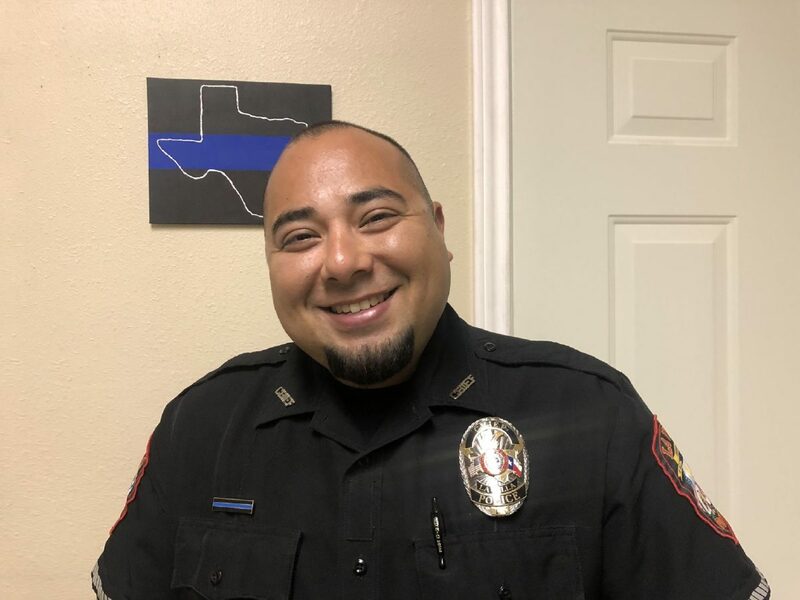 Flores began his law enforcement career as a dispatcher for the San Juan Police Department in 2007, a few years after graduating from Pharr-San Juan-Alamo High School, where he worked until 2009. He then moved on to the Edcouch Police Department for more than five years, according to Texas Commission on Law Enforcement records. Flores, a lieutenant, said he was “let go” from the Edcouch Police Department in 2016 because of leadership-style differences and joined La Villa less than two weeks later. In La Villa, he climbed the ranks to assistant chief before serving as interim police chief beginning in February 2018 when former police Chief Baudelio Castillo left to lead the Alamo Police Department after only six months at the helm. Flores said his interest in law enforcement began while a student at PSJA High School, where he took a law enforcement course taught by Tony Garza, who later became police chief in San Juan. Flores — who was working as assistant manager of distribution at Lack’s furniture store — heeded Garza’s suggestion and submitted an application to the department. The San Juan Police Department, he said, paid for half of his police academy tuition, which helped jumpstart a now more than a decade-long law enforcement career. In La Villa, the chief often works with rookie officers straight out of the academy. Recently, though, the city hired two experienced officers who worked for the Rio Grande City and Peñitas police departments. He said he would like to hire an additional police officer to the tight-knit department and has been encouraging women to apply since it currently does not have a woman on staff. Officers’ day-to-day work consists of investigating burglaries or thefts, patrolling the streets and issuing citations. Since Flores has been with the department, there has not been a murder. “That’s the way I like to have it,” he said. Flores acknowledged while despite not working a murder in La Villa, other cases, particularly child sexual assaults, prove to be emotionally difficult for him, especially since he is a father to three children. During his tenure, he wants to stock the department with new patrol vehicles and, if warranted, plans to advocate for a new police station. Although his new role consists of administrative work, Flores still plans to patrol the community of about 2,000 residents.